Current selected tag: 'tree drawing'. Clear. This reference guide is a perfect way to learn about the anatomy of tree. It breaks down the different shapes of tree into small shapes that are easy to draw. Una buona guida per imparare l'anatomia di un albero. Si dividono le diverse forme dell'albero in piccole forme che sono più facili da disegnare. 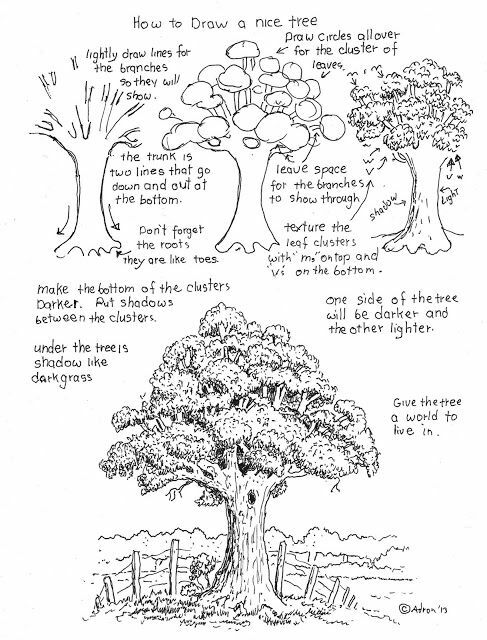 A useful reference anyone who wants to practice drawing different parts of a tree. It explains the various steps involved in a drawing a tree from an initial sketch to a final composition.